My favorite thing about being culturally Jewish is being able to claim Larry David as one of the tribe. One of my other favorite things is Hanukkah. Hanukkah is fun because, like other exciting holidays from around the world, it brings people together! Also, latkes. I’m a big fan of gift-giving, when the season calls for it. 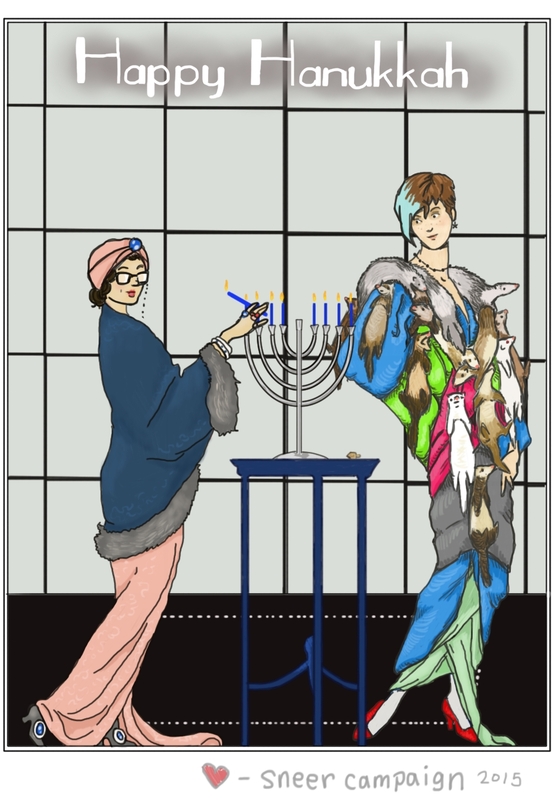 So, here is Sneer Campaign’s Hanukkah gift to you: a drawing of us. Friends, light your candles and play dreidel if you’d like. But also make sure to give out some hugs, even if you hate being touched. Happy Hanukkah, from Sneer Campaign.